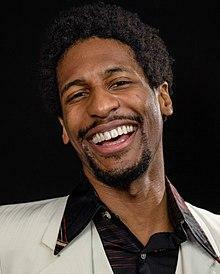 Musician and composer Jon Batiste is the music director and band leader of Stay Human, the house band The Late Show with Stephen Colbert. His album, Hollywood Africans, is a mix of boogie woogie, blues, standards, and originals, including compositions inspired by classical music. We’ll hear music from this album and Batiste will play piano and sing in the studio for this interview. He has recorded and performed with artists in various genres of music including Stevie Wonder, Prince, Willie Nelson, Lenny Kravitz, Ed Sheeran, and Mavis Staples.